An amazing thing happens when you free information from the fetters of expensive institutions where only the world's elite can access it. People begin to learn things that they would never have the opportunity to learn otherwise. 'Student' begins to refer to more than just an 18-22 year old working towards a degree. 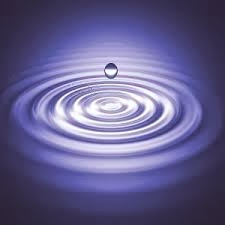 Knowledge and skills are acquired in one's free time and positive ripples flow outward. Or, at least that's how many view it. But, recently, I've seen a lot of negative press surrounding the efforts of Massive Open Online Courses (MOOCs) like Udacity, EdX, and Coursera. I'm referring to articles like this that point to the high dropout rate on MOOC courses or the demographics, which are mostly educated citizens of industrialized nations. But who is right? Are MOOCs heaven sent, or angels in disguise? While it is true that high completion rates are better than low completion rates, this is far from being the whole story. If we look at the absolute number of students that complete a course then the picture changes. I enjoyed participating in the first AI MOOC offered by Thrun and Norvig, which attracted over 100K participants. Of those, only a little over 20K (if I recall correctly) completed the course. If we look only at percentages, it would be easy to call that a failure. But look again and see that over 20,000 people completed a full-length introductory course on AI, which included challenging homework and tests! 20K+ people were able to take that knowledge with them and begin applying it to problems around them. And what of those who didn't? An exit poll would best address this question, but we can speculate. Many likely realized that they didn't have the time. Others realized that the coursework was beyond their currently level and more prereqs would be needed. Still others may have joined with no intention of completing the course. They may have joined simply to audit the lectures. Or perhaps they joined so that they could download the lectures to their hard-drive for later when they do have time. There are many reasons to not complete a course, but the beauty of a well-designed MOOC is that the number of drop outs does not change the experience for those who do complete the course. In other words, what's the big deal? One of the missions of the founders of MOOCs is to educate many of the marginalized across the world who would never have access to this information. This goal may not be completely realized yet, but this does not mean failure either. Columbus did not fail when his hope of finding a new route to India did not pan out. Instead, he encountered a lost world and changed history forever. I speak from experience when I say that MOOCs are changing the lives of people by opening doors and expanding their minds. Perhaps already-educated suburbanites are not the target market of Coursera founders, but reaching the untapped potential of housewives, retirees, students who got the wrong degree, and people with demanding jobs (or kids) may be equally exciting. And, I believe in time, the goal of reaching the poor around the globe will also see its day. We can all agree that improvements should be made to increase accessibility to the opportunities provided by MOOCs and that more work needs to be done to create greater engagement in these courses. But, let's not exaggerate these issues to the point of labeling these courses as failures. Thousands of people around the world have and continue to benefit tremendously from these courses. The light that a single course switches on in someone's mind may illuminate the world around them for years to come. I'm not quite sure why the headlines I've been reading irk me so much. Is it the fact that the conclusions drawn defy basic economics or the realization that ignorance is being spread quickly? I've seen more than a few articles over the past few months stating an alleged shortage of computer security specialists, data analysts, and software developers in general. It's the same idea that circulates from time to time in many tech fields as a means of justifying H1B Visas, but is it real? To say there is a shortage of computer specialists, cyber warriors, or machine learning experts is like saying there is a shortage of Lamborghinis. If everyone is willing to pay a higher price, then the shortage disappears. It is true that there is a shortage of new Lamborghinis that sell for the price of a Toyota Camry, and this is the same strikingly foolish line of thinking that leads to news articles about the dearth of workers for technology ____ (fill in the blank). Are you saying companies should just pay more and the problem will be solved? Yes, this is precisely correct. In the Western world we live in a mostly free market economy where supply and demand are the primary economic forces. Saying that you want a Machine Learning expert for $90K may be a lot like saying you want a Lamborghini for $30K. 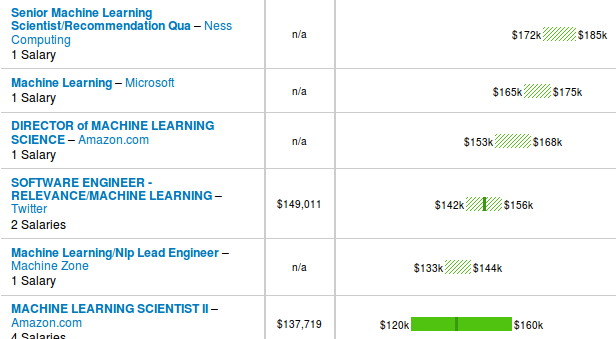 On the salary website Glassdoor.com, the national median for Radiologists is right at $250K. According to the NY Times, demand for imaging has slowed since 2006 and recent radiology graduates are having difficulty finding jobs. Nevertheless, hospitals have paid and continue to pay incredibly high salaries for this profession. If we turn our attention to salaries for machine learning experts or even for directors of IT security, it should be clear to companies why there seems to be a shortage. Even the maximum salaries listed across all companies do not contain a single entry above $200K. Whether you are the Director of Machine Learning at Amazon or the Director of IT Security at UBS, whether you have a PhD in Computer Science or a dozen years mastering your enterprise's infrastructure, you will still earn less than the average radiologist. This contrast remains even while there is an alleged shortage of these IT professions and a surplus of radiologists. What then is holding companies back from paying more? I believe the answer to this varies based on the particular job, but the root cause is that people stray from rational choices. Let's consider some plausible scenarios. Upper management of Company XYZ has a hunch that security is lacking around its services, but so far they have avoided any major catastrophes. They lost one computer security specialist to a better opportunity last month, but they are reluctant to increase the pay of the remaining specialists and post a new job for a replacement. In short, they've chosen to increase their risk to save some on human capital costs. When a serious and costly security breech does occur, they will likely claim to be a victim of a small pool of talented workers and the media will run with that headline. Let's face it, we are emotional creatures. A quick read of Dan Areily's work will convince you that humans frequently make harmful, irrational choices, especially when it comes to pricing. This is certainly the case when it comes to salaries. Rarely does an executive ask, "What is this position (or person) worth to our company?" and pay that person accordingly. Instead, they try to conjure up a figure based on their own beliefs (e.g., doctors deserve more than PhD's), or they look at what everyone else seems to be paying. The latter approach will often work, but not if most employers are also paying less than they should. The bottom line is that you need to increase the pay (and perhaps the exposure of the job listing) if you are not able to hire for the position. If a worker can save (or gain) $500K per year for a company, then it would be foolish to throw your hands up in the air and say that there is a shortage when you can't find a senior developer for $120K. Simply increase the salary to $150 and see what happens. The difference between the salary and expected gain from the employee is still much greater than zero. In short, employers need to be rational. They should use basic math and economics rather than emotions and preconceived notions. I'm sure there are other causes as well -- feel free to post some in the comments. Thanks for reading! This is just a quick blog entry to help anyone experiencing garbled PDF output (in Safari) when using Rails 3's send_data to output dynamically-generated PDF files.